ST. GEORGE — An abundance of those who prefer blue over Utah’s majority red in Washington County gathered Saturday afternoon to discuss party successes, goals for the upcoming year and concerns of the overall party. 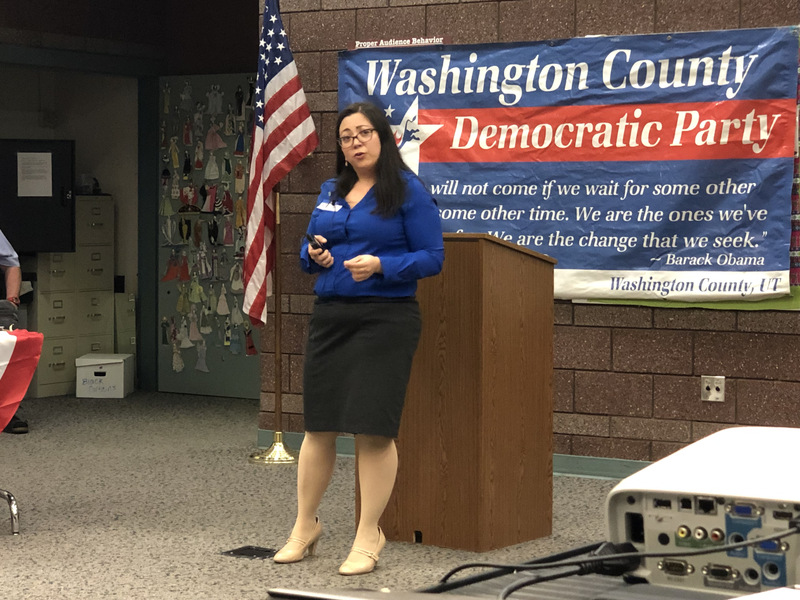 The 2019 Washington County Democratic Convention at Fossil Ridge Intermediate School began by highlighting what the county party accomplished in 2018, including registering 200 new voters between April and September, raising more funds than usual and increasing collaboration with other Democratic groups in the Southern Utah area. 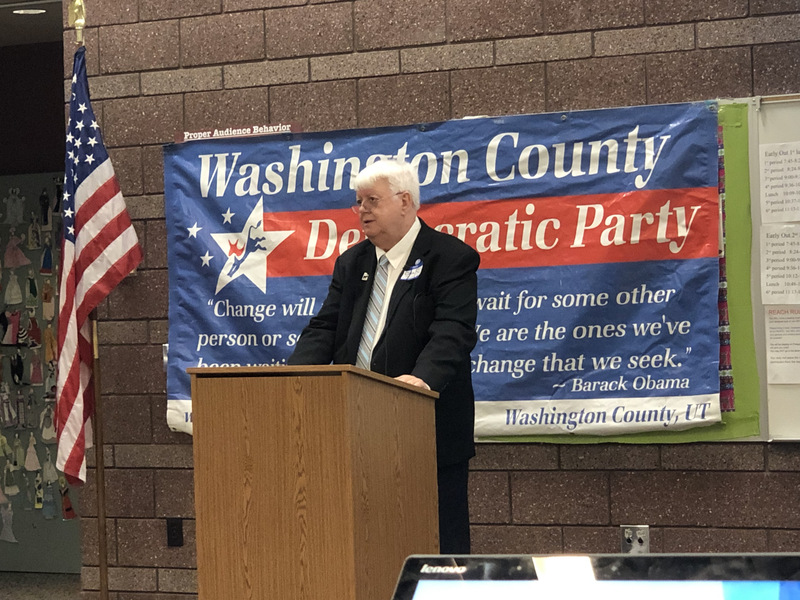 The Washington County Democratic Party raised more money than any year before — a total of $4,755 — which allowed them to give $1,000 to each local candidate who ran in 2018: Robert Ford for Washington County Commission, Chuck Goode for Utah House District 71 and Mark Chambers for Utah Senate District 28. “We were very active last year,” said Lynne Cobb, the party’s secretary. In proposing a 2019 budget, Treasurer Glenn Justice said because it’s a municipal election year, they envision $500 support for local candidates — making the party’s total budget $2,655. Party members also discussed the statewide success of last year’s election, specifically Ben McAdams, who flipped a house seat and beat Mia Love to represent Utah’s 4th Congressional District. “That was 51.13 percent of the vote, but we got it,” Vice Chair Collin Weiss said, referring to McAdams’ win. Weiss said perhaps the greatest victory for the Democratic Party was in the U.S. Congress, where 41 seats turned blue, with 36 of those seats being filled by women and people from different ethnic groups and minority religions. Statewide, the Utah Legislature is now 25 percent Democrats and 20 percent women. “What’s scary and what we need to help people understand is that the accumulation of carbon dioxide in the atmosphere is now increasing at such a rapid rate that we may within just a few years be at the peak the same as it was back several million years ago,” Ford said. He praised the younger generation for caring about the planet and participating in climate change demonstrations, such as the marches that took place nearly two weeks ago, when students across the world skipped school to protest the issue. Candidates for state chair for the Utah Democratic Party also spoke at the conventions, including current chair Daisy Thomas, Q Dang, Jeff Merchant and Nadia Mahallati. The convention ended with a keynote address from Dorothy Engelman, a former party chair and candidate for state Senate District 29 in the 2016 election. She said when she moved to St. George in 2009, people didn’t declare out loud if they were Democrats. Now, those times have changed. 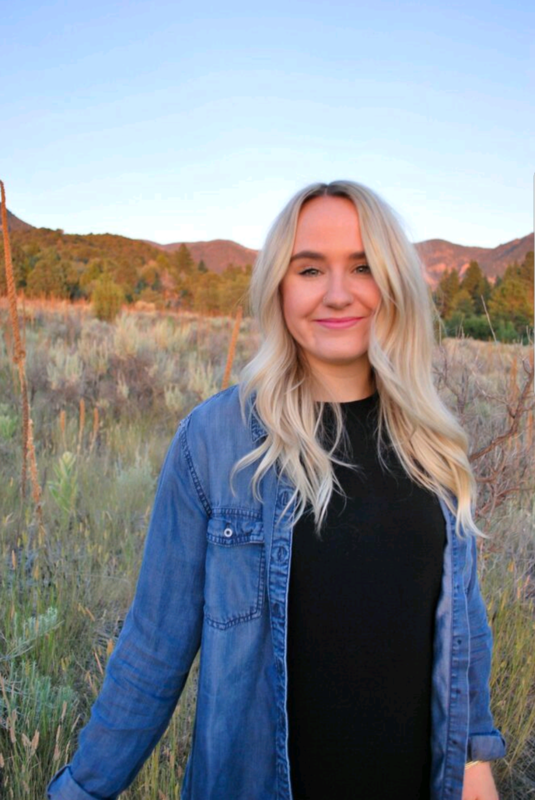 “The one thing that I think we have all felt living here in Southern Utah, whether we’re natives or transplants, is that sometimes we’re alone,” Engelman said. She left the audience with a simple message: one person can make a change. She said by voting, the Democratic Party in Utah has the opportunity to grow even more.